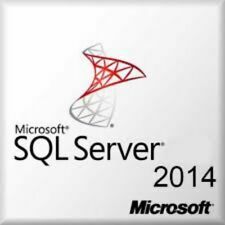 Microsoft SQL Server 2014 Enterprise 8CORE +Unlimited CAL Certificate +USB SALE! PERPETUAL w/ 1 Year of Support & Upg! NOT SUBSCRIPTION!